Reefs Go Live Returns for 2019! When teaching about the ocean, it can be difficult for teachers to bring the topic to life from the dry confines of the classroom. 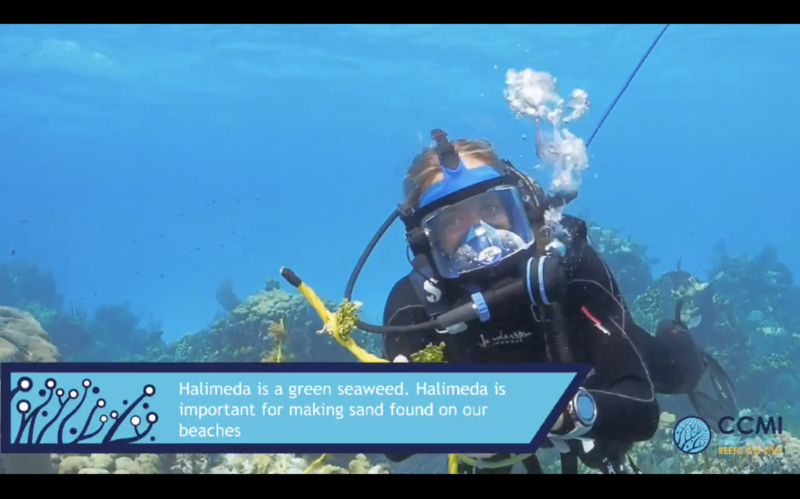 Fortunately, the Reefs Go Live programme from the Central Caribbean Marine Institute (CCMI) has found an innovative way to bring the ocean directly into the classroom through a real-time ‘live dive’ with scientists in Little Cayman. Topics that will be presented in 2019 broadcasts include Incredible Invertebrates, Fish Tales: Fish Adaptations, Diving off the Wall, Magnificent Mangroves and Fabulous Food Chains. All lessons are aligned with the Cayman Islands Science National Curriculum standards, which assists teachers in knowing how participation in the programme can help achieve the teaching standards as set forth by the Ministry of Education. In addition to six new lessons that will take place, CCMI has partnered with Appleby and The Oliver S. and Jennie R. Donaldson Charitable Trust to run teacher training sessions as a way to prepare local educators for Reefs Go Live. In Grand Cayman, a workshop was held on 12 February, and the session showed participating teachers how to use the programme to enhance teaching in the classroom, what new lessons would be shared, how information aligned to the Science National Curriculum objectives. Attendees received a printed book of the 12 lesson plans for Reefs Go Live (six lessons from each 2018 and the new 2019 lessons) as well as a resource kit full of items to continue the educational experience beyond the broadcasts for their classrooms. Materials provided will aid teachers in discussions about environmental changes and coral bleaching, ocean acidification and even in dissecting a lionfish to show their students this process as part of a lesson on invasive species. A session for teachers in the Sister Islands will share the same information, and the participants will also receive printed lesson plan books and resource kits. As the programme grows and develops, CCMI plans to offer an expanded resource section on the website that will allow teachers to download lesson information and activity sheet, view pre-recorded tutorials and question/answer sessions from past lessons, and provide additional support to integrate extension activities into the classroom. ‘We want to offer tools that will help teachers meet their teaching objectives and keep teachers engaged in what we are doing at CCMI throughout the year,’ states Ms. Correia. The new broadcasts of Reefs Go Live will begin 20th March with a Welcome Back to Reefs Go Live: A Review of Coral Reefs session. While aimed primarily towards covering science objectives for Years 5 and 6, information shared during each broadcast may applicable to other ages and can be included in cross-curricular activities. Interested teachers who would like more information about the Reefs Go Live programme and how to register their class to experience these lessons for free should contact CCMI at info@reefresearch.org.